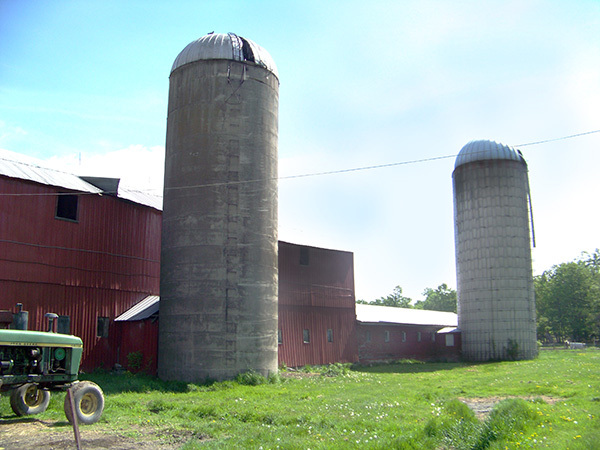 The Meeks & Sons Farm is a dairy farm in our area, that has been in the family for four generations. Greg Meeks and his son Ryan own the 473-acre farm together, and with Greg’s youngest son Jack, they manage all aspects of running the farm. By protecting their farm, the Meeks are thinking about the future. The grandkids love playing outside on the farm, and Greg hopes that one day they may take over and expand the family business. That dream took a step forward when they conserved their farm last week, boosted by the pending conversion to an organic dairy operation later this June. The farmland protection funding (where farmers like the Meeks are paid for their non-farm development value) allows them to reinvest in their operations. The Meeks continue to own the land and pay property taxes. Located in Jefferson County, NY the Meeks farm is near the Fort Drum Military base, one of the premier training sites in the Country. This farmland project was therefore funded through a combination of Federal and State dollars. 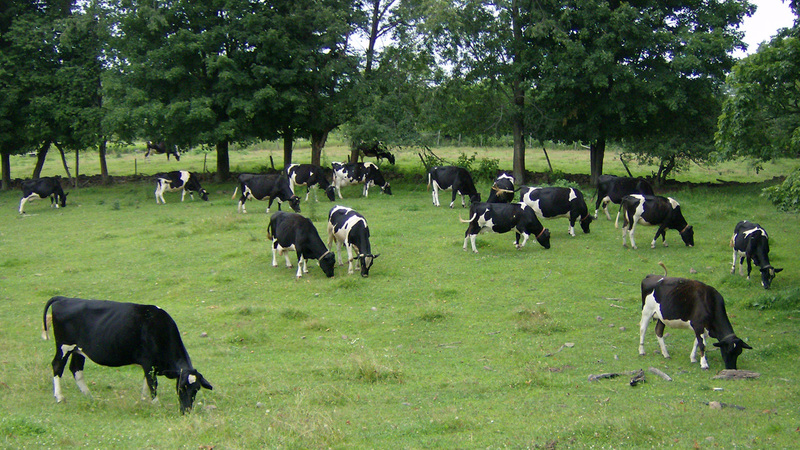 State funding comes from the NYS Environmental Protection Fund through the NYS Department of Agriculture and Markets. Federal funding comes from the Army through the Army Compatible Use Buffer (ACUB) program. This is a partnership between Ft. Drum, Ducks Unlimited and Tug Hill Tomorrow Land Trust. It’s a win-win-win scenario: a buffer area around Ft. Drum is created to limit development that is incompatible with the training mission of Ft. Drum, farmers can reinvest in their operations and their families, and we are able to assist local families to conserve important lands and help ensure our local economy and heritage remain intact. Moments like this are milestones. Celebrating this achievement would be impossible without our community members, and local conservation heroes. It takes years of work to assist a local family to conserve their land and we couldn’t do that without your support. Tug Hill Tomorrow Land Trust and the Meeks family would like to thank everyone who has contributed to this project. Once the land is gone, it’s gone for good. But today, another family farm is conserved and we are one step closer to ensuring that local farmland is here for the long-haul. To learn more about the ACUB program, and if it may be right for your farm, or call Executive Director Linda Garrett at 315.779.8240.